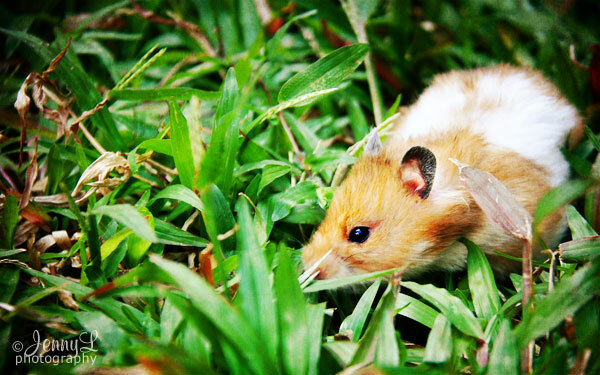 Meet my nephew's furry pet hamster named JINGLE. He took a bath this afternoon and he looks so fresh and clean now. I laid him on the grass and oh boy he was so playful and would like to go to somewhere else. It's pretty hard to take photos of him bec. he is so mobile and would not stay in just one place. I'm lucky to have this shot of him, maybe he doesn't want to have his picture taken.